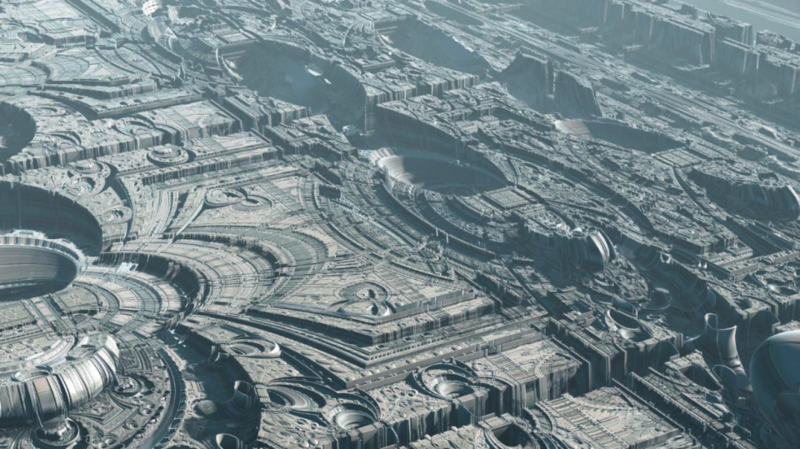 What might the patterns of urban sprawl look like if humanity were to survive another thousand years or so? Artist Tom Beddard envisions fractal formations seemingly cut right into the earth, broken up by the occasional sky-high tower or curving superstructure. 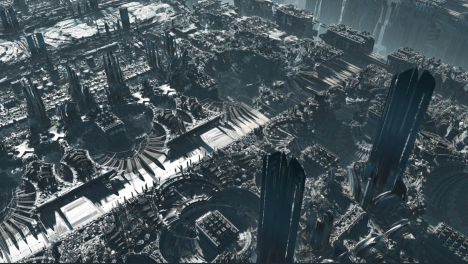 The architecture in this futuristic vision entitled ‘Aurillia’ ranges from bleak industrial scenes to incredibly complex city centers, all created using a fractal formula called Mandalay. 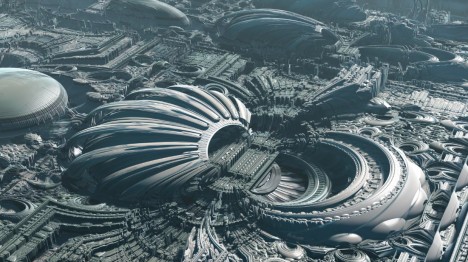 The London-based artist, who earned a PhD in laser physics before moving on to design and web development, used the Fractal-lab tool that he built himself to render the images. 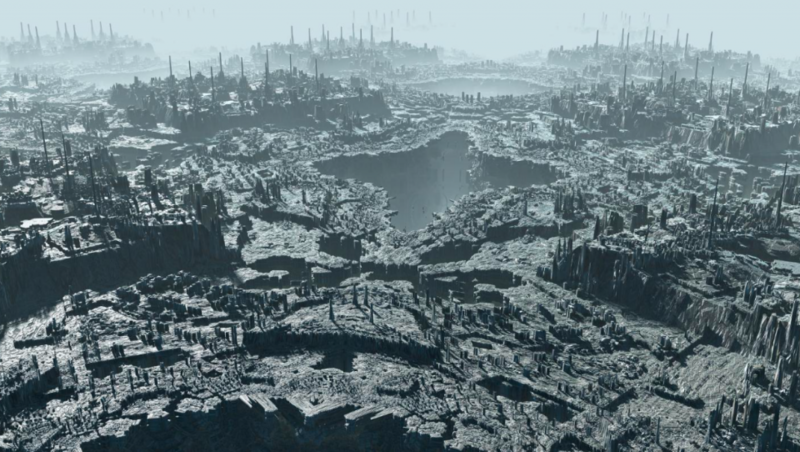 Fractals in visual form are generally characterized by obvious patterns, but with this formula, the resulting aerial views have a surprisingly organic look. 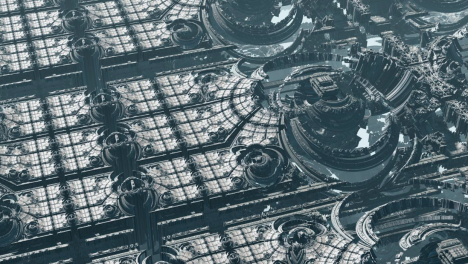 We’ve seen some amazing applications of fractals and parametric designs in architecture and furniture designs, from mobile pavilions to fantasy cities, but nothing on quite this large of a scale. Check out aerial views of real-life suburban complexes and you’ll see that these patterns aren’t all that far from the patterns we’re already creating with urban development.